Ratio 1:2.3 CT 15K to 80K CT. Very large 100% Mumetal core and thick Mumetal can. Colour coded leads. Can size 45 mm dia 52.5 mm high mounting grommet (Type 1231E) or 2 x M3 holes (Type1231I). Similar to peerless 4651A. 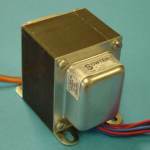 23kCT/150+150 ohm output transformer for driving a balanced line from push-pull 6CG7 etc. 100% M6 core for high level capability and low distortion. Twin secondaries for 600/150 ohm outputs. Voltage ratio 12.4CT:1+1 Max dc per side of primary 20 mA. Similar to Peerless 16402. Colour coded leads. Supplied with end frames for vertical or horizontal mounting style o. Fully shrouded style "s" option. Rectangular Mumetal Can with threaded grommet style "e" option. 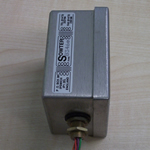 Sowter replacement design for Collins 26-U Output stage using 6V6. 9000 Ohms to 150+150 Ohms. Feedback winding. Output level +26dBu at 20 Hz. Fully balanced two chamber bobbin and M6 core. Fully shrouded package with colour coded leads. 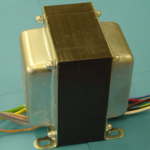 High performance transformer for repair or reconstuction of theCollins 26U-1 Compressor. 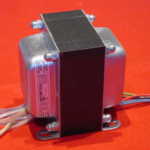 Combination Mumetal/M6 core transformer in Mumetal can. 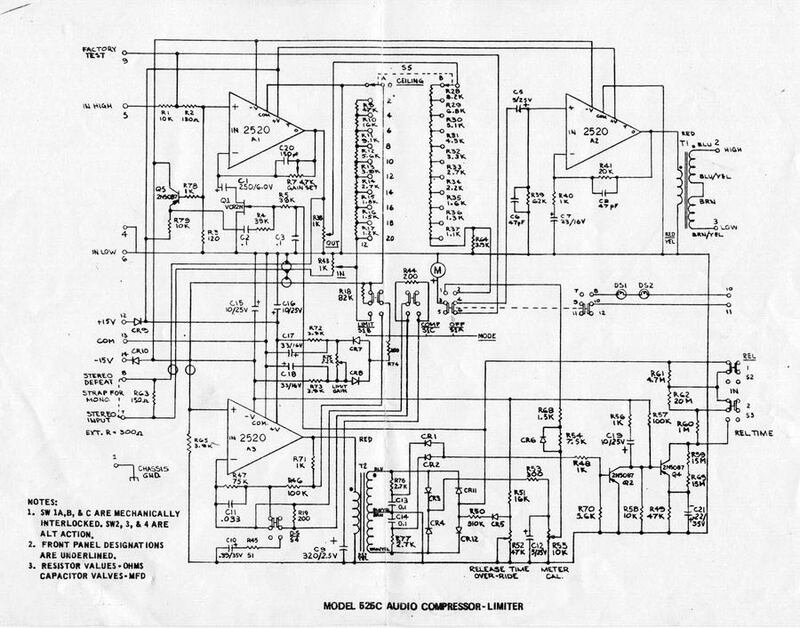 Impedance ratio 30k/60k. Colour coded leads. Line output for CCA Electronics Corporation Compressor LA-1D. Fully shrouded size "D" with colour coded leads. Push-Pull 20,000 ohms CT to 150 +150 ohms. Full geometric balance. Replacement for Chicago B02. Circuit available on request. Weight 1.0 Kg. 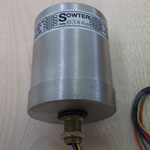 Sowter replacement design for Fairchild 670. 600 ohms/50k ohms. Ratio 1+1:9+9. Fully balanced two chamber bobbin and Mumetal core. Mumetal can size k 45 x 72 x 63 . Colour coded leads. Tested with Drip Electronics Altec 436 PCB. Fully Shrouded package style "S". Colour coded leads. 50/60 Hz. Choice of World Wide or European primary. Secondary windings: 375-0-375 V at 200 mA, 6.3V CT at 5A, 5.0V at 2A. Size "N"
For Fairchild 670 Compressor T301. Tested with Drip Electronics 2011 PCB. Fully Shrouded package style "S". Colour coded leads. 50/60 Hz. Choice of World Wide or European primary. 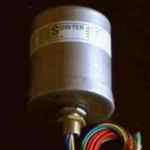 Secondary windings: 26.8V (for Selenium bridge rectifier) tapped at 24V (for Silicon bridge rectifier) at 200 mA. Size "E". This is similar to the original Triad part f-40x but has the tap for a silicon rectifier (recommended).